Christ is risen! Joyous feast! 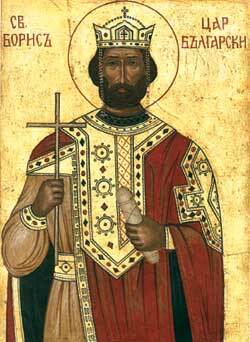 Today is also the feast of Tsar St. Boris of the Bulgarians, venerated as 'equal to the Apostles' for his conversion of the Bulgarian nation to Orthodox Christianity and also remembered as Michael after his baptismal name. More on his life can be found here. May his blessing and prayers be with us all!